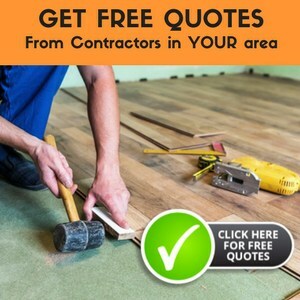 Most of us would like our floor to be nice-looking, durable, easily maintained, and preferably offer good value for money. All popular floorings excel in two or more categories (or they probably would not have become popular in the first place), but the tile floor is the one that offers the best combination of looks, durability, ease of maintenance, and value. In general, tile floors tend not to hide dirt and stains as well as other floorings. This is perhaps the reason why the tile floor is often very popular in countries where people are used to taking off their shoes at home. We are not saying this true all the time, only more often than not. In any event, it doesn’t matter whether or not you take off your shoes at home. If you have tile floor you will need a mop, and in this day and age, microfiber mops reign supreme on tile floors. In other words, the microfiber mop is the best mop for tile floors. On tile floors, it can totally replace the vacuum cleaner and it mops more effectively than the traditional shaggy wet mop. The property of the microfiber pad is such that it works equally well on textured and smooth tiles.It is simply much better than shaggy mops on textured tile floors. In fact, the only reason it makes sense for anybody to want to use a shaggy mop on a tile floor is if he or she is nostalgic (from growing up with shaggy wet mops). Believe me, the best mop for tile floors is a microfiber mop. The only question is which one? Continue reading to find out. The Kibble Outlets professional dust mop is the no-frills best mop for tile floors. It has a telescopic handle made of heavy-gauge aluminum that extends up to 5ft. This means the height of this mop can be adjusted to suit almost everyone. However, we found that you have to get the hang of it or the handle would frustrate you by collapsing during use. The swivel head is 16” wide. Kibble Outlets makes 3 different microfiber pads for this mop. They are the dry pad, the wet pad, and the scrub pad. In our experience, you only need the dry pad and the wet pad for tile floors. Use the dry pad every other day or so and most people will only need to use wet pad once a week. You can use the Kibble Outlets professional dust mop to pick up nearly everything from tile floors, including pet hair of any length and dirt of different size. This mop is excellent for hardwood floors as well. The telescopic handle will take a bit of getting used to. Bona is one of the most respected names in hard floor cleaning products. Since we are a huge fan of the Bona Motion spray mop for hardwood floors, we suspected the Bona stone, tile & laminate floor mop could very well be the best mop for tile floors,and we were not disappointed. The only difference we noticed between the twois in the mop head. There’s an on/off button on the head of the Bona Motion and a large knob advertised as Bona’s sonic motion cleaning technology. We have no idea what this technical mumbo jumbo means but we are mightily impressed by the power handling and smooth motion of the Bona stone, tile & laminate floor mop. High-quality engineering plastic is used in the construction of this mop. The whole thing feels very solid, and everything fits together perfectly. The water tank is designed to hold Bona’s stone, tile & laminate cleaner but you can just as well fill it with your own cleaning solution (or just water if you wish). 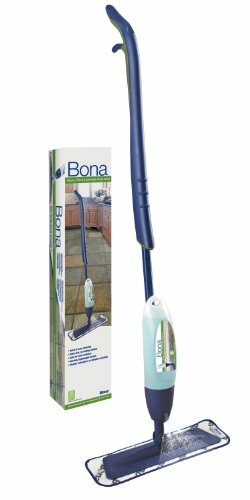 Bona also makes replacement cartridges of Bona cleaner that snap onto this mop. The spray handle operates smoothly, and the nozzle releases really well-placed fine mist of cleaner. This mop makes cleaning tile floors a breeze. On top of that, it is a pleasure to use. You’ll love the look of your tile floor afterwards. This mop glides smoothly and allows you to apply real pressure when cleaning. Use this best mop for tile floors with the Bona stone, tile & laminate cleaner, and you are ready to tackle any tile floor cleaning task. Expensive for a manual spray mop but you will get what you paid for – the best mop for tile floors. Replacement Bona microfiber pads are on the pricier side too. While the Crislan floor mop is supposed to be equally competent at cleaning all kinds of hard floorings, we found it to be particularly good on tile floors. It is definitely a contender for the best mop for tile floors title. The pole is adjustable and equipped with a smart lock to lock in at the right length. This is a microfiber spray mop with 15” 360-degree swivel head and a 600 ml water tank, enough capacity for large houses. The spray is so fine and strong that it would create a dramatic steamy effect upon contact with the floor. This lightweight mop is made from plastic except for the aluminum pole. 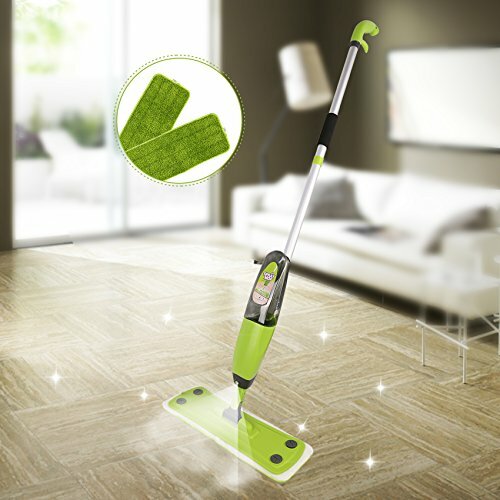 Although the balance is fairly good with the tank full of cleaning solution, we found that the Crislan floor mop handles better with declining level of liquid. The excellent spray effects more than make up for it though. All in all, this microfiber spray mop cleans tile floors with professional competence. Our choice for the best mop for tile floors is the Bona stone, tile & laminate mop. This is the best manual microfiber spray mop in both function and build. It is premium-priced but worth every extra penny. We feel confident that you will enjoy the Bona stone, tile & laminate mop as much as we did. 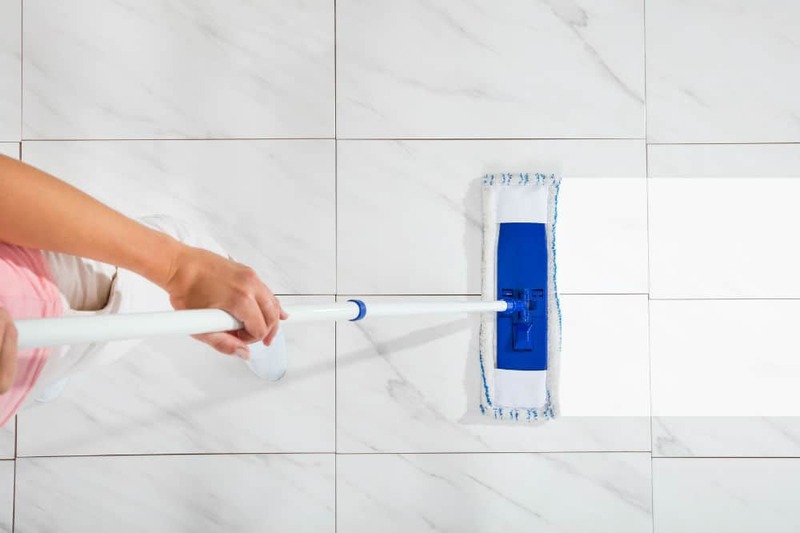 If you’re a studious cleaner who prefers to clean your tile floor often, the truth is that you don’t really need a spray mop at all. The Keeble Outlets professional dust mop is tremendous value and it qualifies as the best mop for tile floors in its own right. Make sure to include both dry and wet microfiber pads with your purchase.